The Insight Leadership Academies help principals, assistant principals, teacher leaders, and aspiring leaders execute with the confidence to make bold change happen. 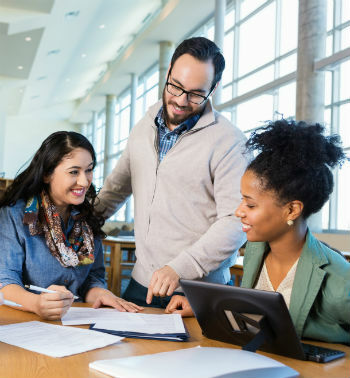 School leaders tell us all the time that they do not need another session on "mission and vision," "culture and climate," or "instruction and assessment." Instead, they tell us they want to know how to execute so that their boldest ideas about teaching and learning and their audacious dreams for students come alive every day for every student. In a nutshell, they have asked us to help them win at the implementation game. 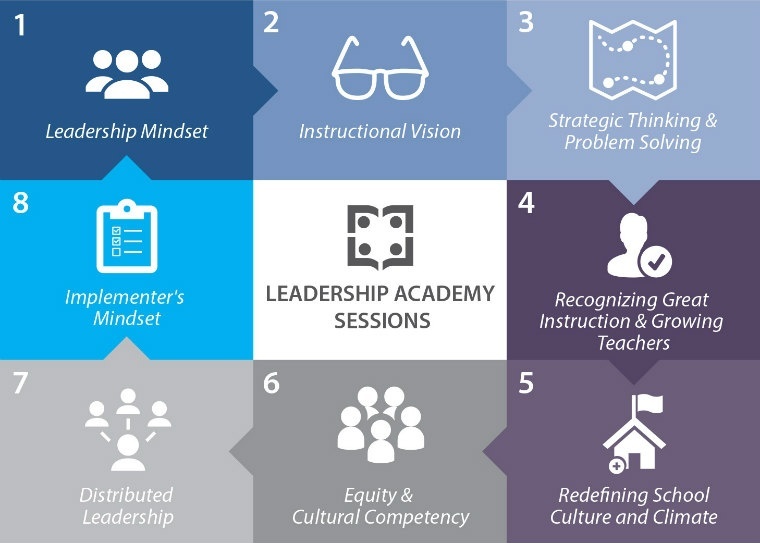 Based on evidence-based research and practice, the Academy model is an in-person, customized professional development experience delivered on-site in your district for up 50 leaders per cohort. Each academy includes eight practical and hands-on sessions, including content, problem-solving, and strategic-thinking sessions. Embrace a leadership mindset, the lens through which leaders see their work, relationships, and entire world and serves as the foundation for all that they do, and more importantly how they do it. Be distributive leaders, which entails how to lead a team and how to distribute roles and responsibilities among their staff members. Be strategic thinkers and problem solvers with the ability to address issues (both big and small) that cannot be predicted. Articulate a clear and compelling instructional vision upon which all decisions can be grounded. Make difficult decisions based on clear rationale and data. Know quality instruction when they see it and grow teachers to be effective facilitators of learning. Cultivate the Implementer's Mindset, a mindset that brings astonishing focus, discipline, and accountability to achieving top priorities. In addition, the leader and coach will use authentic scenarios to think through strategic decisions including communication and stakeholder support. Through the academies and executive coaching sessions, we can supplement and customize content so that it embraces your district's unique context and the developmental level of the participants involved. If you're interested in learning more how you can get a leadership academy up and running in your district, send us a message or give us a call at 800.935.7022 x3.